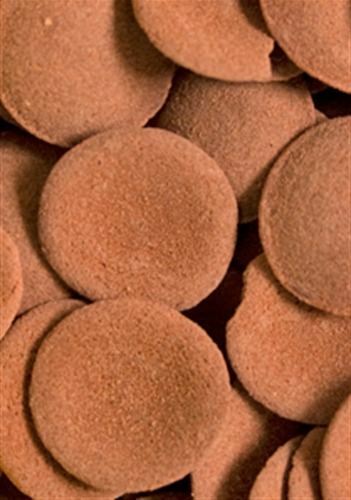 Even wild caught fish will find this palatable sinking tablet (+/- 13mm) difficult to resist. 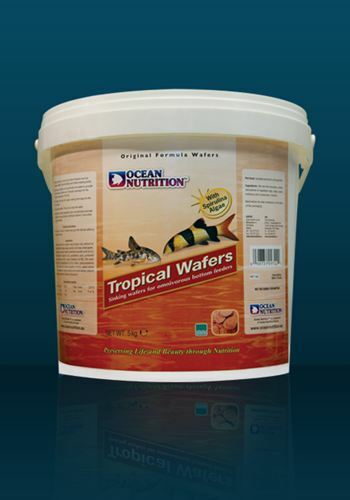 These wafers guarantee excellent nutrition for omnivorous bottom-feeding fish such as loaches, catfish (Callichthyidae) and bottom-feeding barbs. The very thin edges make them easy for fish to nibble. 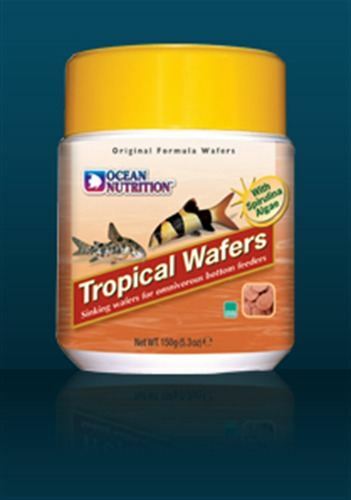 The wafers are enriched with krill, sardine, Spirulina, wheat, kelp, alfalfa and yeast to provide the ultimate balanced diet for your fish. Feed only as much as your fish can consume in about two hours. 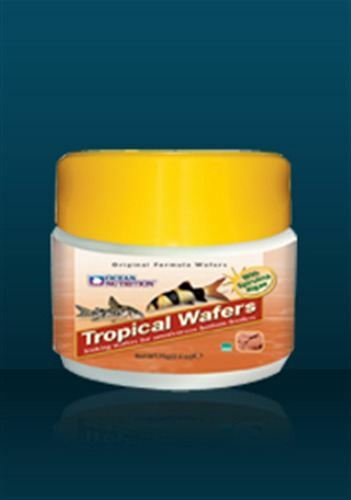 Provides the vitamins, minerals and protein your fish need. Fish fillets, wheat flour, soya, wheat gluten, algae, alfalfa, refined fish oils, yeast (ß-glucans), lecithin, krill (Euphasia pacifica plankton), spirulina, vitamins (retinol (vitamin A), cholecalciferol (Vitamin D3), tocopherol acetate (Vitamin E), L-ascorbic acid Phosphate (Vitamin C), menadione (Vitamin K3), thiamine mononitrate (Vitamin B1), riboflavin (Vitamin B2), pyridoxine (Vitamin B6), cobalamin (Vitamin B12), biotin (Vitamin H), pantothenic acid (Vitamin B5), folic acid (Vitamin B11), niacin (Vitamin B3)), select amino acids (DL-methionine, L-lysine, taurine), minerals, antioxidants, carotenoid pigments. By using tropical wafers you will fulfill the needs of your bottom dwelling fish.